Antoinette Evans Clark of St. George, Utah, passed away peacefully on Jan. 28, surrounded by her children and several grandchildren. 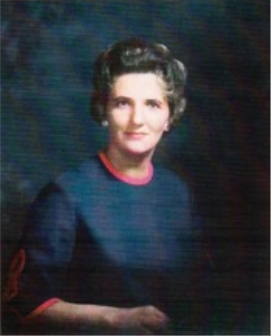 Antoinette Clark, 82, passed away on Jan. 28. Her wake will be on Sunday, Feb. 10, and her funeral the next day. She was 82 years old and had been battling Alzheimer’s disease for several years, although was still adept at making friends and wise-cracks up until her death. She was dearly loved by many and had a zest for life. Antoinette was born on Aug. 20, 1936 to Oakley S. Evans and Mabel Wilson Evans in Butte, Montana. From there, she grew up in Utah, Kansas, Colorado and Connecticut, relocating as her father moved up the J.C. Penney corporate ladder. She attributed her outgoing personality to her need for making new friends with every change of address. As the eldest of five daughters spanning a range of 15 years, “Toni” was a natural leader and developed a passion for children through helping nurture her own younger sisters. Toni Evans graduated from Darien High School in 1954 as valedictorian, and then met her sweetheart, John Russell Clark, at Stanford University while majoring in child psychology and speech therapy. They were married in the Salt Lake Temple on April 18, 1957, before heading off to Philadelphia where John completed his studies at Hahnemann Medical College in 1959. Their six children were born in Philadelphia, Honolulu, Salt Lake City, Utah and Long Beach, California before John set up his neurosurgical practice in Chico, California, in 1969. The family remained in Chico for 25 years, where Antoinette served actively in leadership roles promoting worthwhile causes for children. In the Boy Scouts of America, Antoinette served first as a den leader for her sons, and eventually became one of the first female district chairmen in California. For three years she supervised a program for over 1,350 boy scouts in the Ranchero-Bidwell District, which included her own two Eagle Scout sons. Seeking to make a bigger difference in the protection of family values, she became a lobbyist in 1977 and traveled regularly to Sacramento to influence California lawmakers on measures to defend the traditional family. In 1982 she helped establish a Citizens for Decency through Law chapter in Butte County, and four years later completed a successful campaign to close down six pornographic book stores in the Chico area. Antoinette served as PTA president multiple times in Chico schools, presided over the Butte-Glenn County Medical Society and, along with her husband John, spear-headed numerous fundraisers and political campaigns from her vibrant home. Nancy Reagan was a special guest in their home in 1976, campaigning for husband Ronald Reagan’s presidency. As a volunteer in LDS Social Services for nearly 20 years, she poured her energies into the well-being of children and teenagers besides her own. While counseling troubled teens, her home became a refuge for foster children and unwed mothers. Although her husband John preceded her in death (2010), Antoinette is survived by her children: April Clark Clive (Cliff); John Jay Evans Clark (Kathleen); David Dorius Clark (Dodie); Sara Clark Madsen (Steve); Wendy Clark Ludlow (Brian); and Colleen Niau Clark Fear (Paul). She is also survived by 29 grandchildren and 47 great-grandchildren. Three sisters include Wendy Evans Ruppel (John); Julie Evans Simons (Steve); and Dinny Evans. Another sister, Christine Evans, passed away in 2009. Funeral services will be held on Monday, Feb. 11 at the Emigration 6th Ward chapel of The Church of Jesus Christ of Latter-day Saints, 589 E.18th Ave. in Salt Lake City, Utah. A viewing will be held Sunday, Feb. 10 from 6 to 8 p.m. at Larkin Mortuary, 260 E. South Temple as well and Monday from 10:30 to 11:30 a.m. followed by a celebration of her life at noon. Interment will follow immediately afterward at the Salt Lake City Cemetery a few blocks away, on 200 N St., Salt Lake City. In lieu of flowers, charitable donations may be made to LDS Philanthropies or to Alzheimer’s Association. Conway MacLean Day (Connie), a lover of the arts and travel, passed away Dec 20, 2018 in Santa Barbara, California. A long-time resident of Montecito, her style, whit and humor will be deeply missed by all.